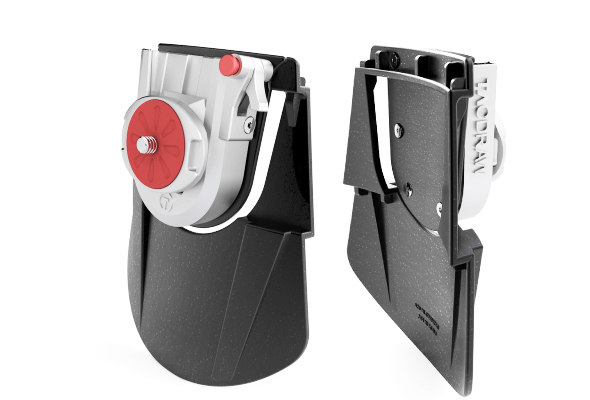 TacDraw created an innovative camera holster to solve the problems seen with traditional carrying methods. Drawing design inspiration from military and law enforcement tactical weapon holsters, the TacDraw holster allows you to comfortably carry your camera all day in a position that is both accessible and out of the way. Performing a quick tactical draw of your camera feels smooth and natural so you're always ready to capture the shot. The compact design of the TacDraw holster gives a low profile that keeps your camera out of the way, while still giving easy and fast access to your camera. For total comfort while wearing the TacDraw holster, the paddle is contoured to fit your body. Camera straps have traditionally been the main way to carry a camera. The problem with this is that it places the weight and stress of carrying your camera on your neck and shoulders. Putting the weight of your camera at your hip takes the strain off your neck and shoulders. The lightweight and ergonomic TacDraw holster is the most comfortable and most secure way to carry your camera. The TacDraw is built to be the perfect holster system that has the right combination of being compact, secure and comfortable. It is ideal for lightweight DSLRs, mirrorless and point and shoot cameras up to 5 lbs. When you’re not shooting, secure your camera to the TacDraw holster to free your hands for other activities. A quick draw of the camera and you’re ready to capture the moment. 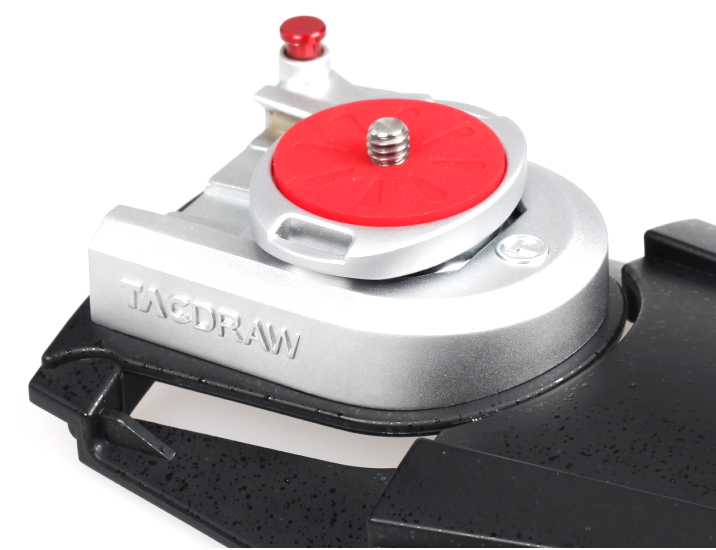 It doesn’t matter if you’re an amateur or a professional, the TacDraw is built to last. Constructed from high quality alloy, the TacDraw is built for long term durability with maximum comfort. The high strength contoured paddle keeps the TacDraw secured against your body, while giving you convenient access to your camera. Every time you holster your camera into the TacDraw, a 2-step lock secures your camera into position. The camera can be drawn only whenever you need it. The 2-step locking mechanism helps to prevent thefts and accidental drops of your expensive camera gear. 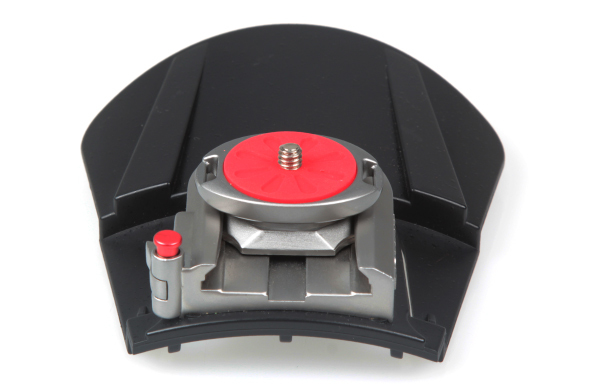 Holding down the red lock button allows you to release the lever that holds the quick release plate in place. At only 7 ounces, you’ll barely notice the TacDraw on your hip. 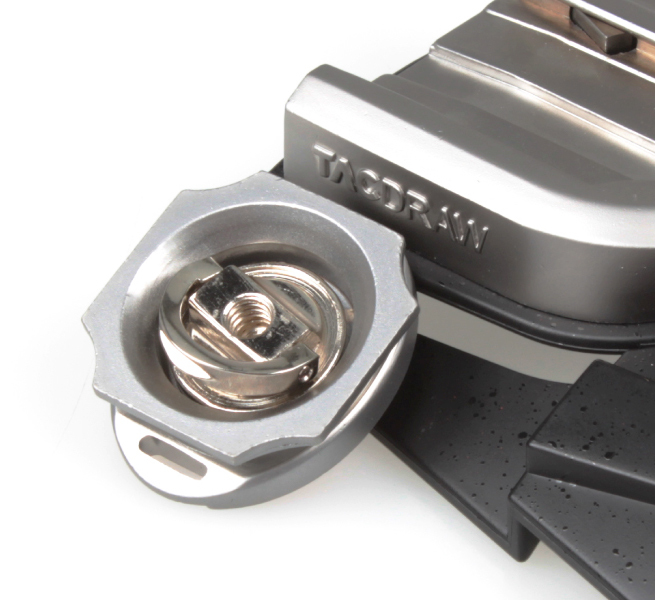 The TacDraw is designed to be nearly invisible, yet solid and secure. When the quick release plate is attached to your camera, the rubber grip pad is designed to prevent camera slippage and will not rotate under regular use. The notched D-ring flips out for easy tool free installation. 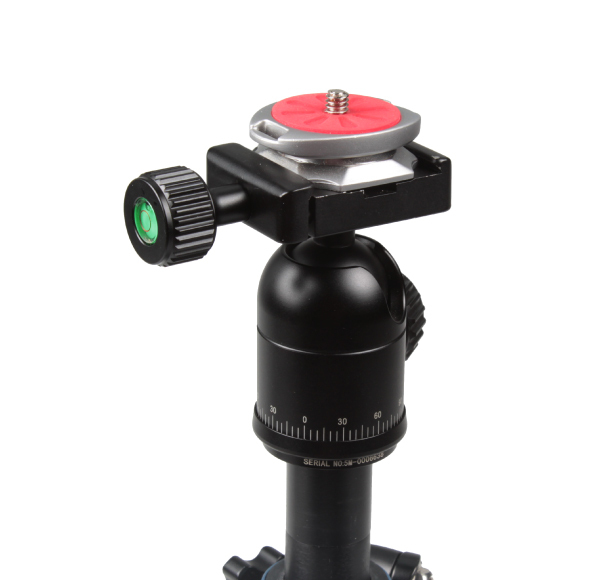 Don’t worry about messing with different tripod plates and mount the TacDraw quick release plate directly into your Arca-Swiss tripod. 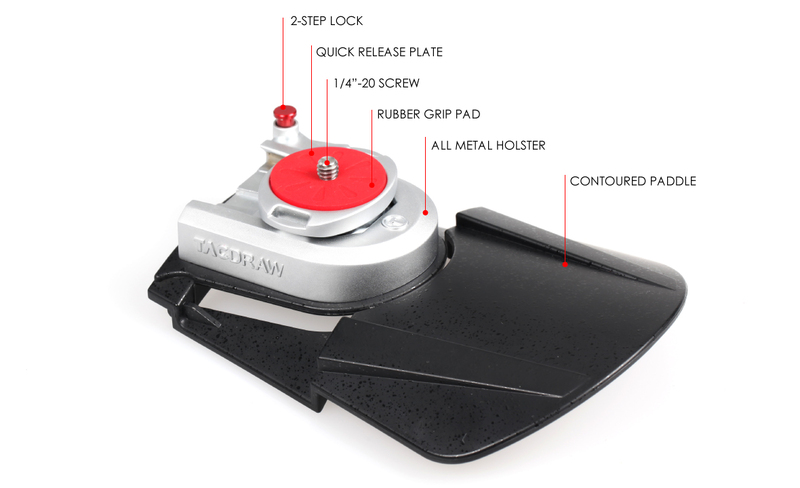 The quick release plate is Arca-Swiss compatible so you can quickly and easily go between the TacDraw holster and your tripod.